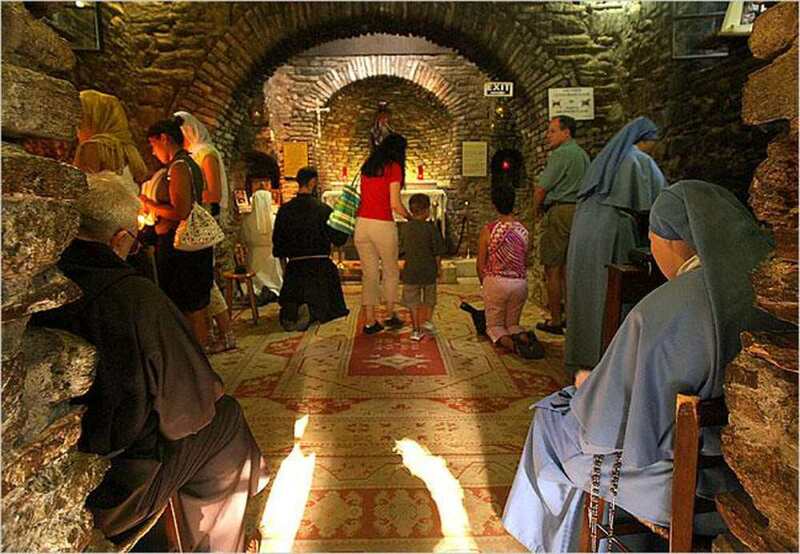 People praying at a Christmas service inside the House of the Virgin Mary in Selçuk. The site is popular among the Christian faithful. The municipality of Selçuk, a town in western Turkey where Virgin Mary is believed to have spent her last days, plans to erect a giant statue dedicated to her in the fashion of the notable statue in Brazil depicting her son. Virgin Mary House, a stone structure on the outskirts of Bülbül Mountain, is a popular spot among Christian pilgrims since its discovery in the 19th century. Looking to boost faith tourism revenues, Selçuk Mayor Zeynel Bakıcı said they would erect "a splendid statue" depicting the sacred figure, the same day he announced they were seeking to host an international faith tourism event next year. "Virgin Mary House receives 2.5 million visitors every year despite its authenticity while Portugal's Fatima hosts 5 million tourists every year," he said, referring to the town where the Virgin Mary is believed to have appeared to three children in 1917, making it a revered pilgrimage site. "We have to market our town better," he told a tourism event on Saturday. The mayor said although they did not make up their minds on the size of the statue, "it would be as splendid as Christ The Redeemer in Brazil or the Statue of Liberty in the United States." Bakıcı said the municipality was in talks with investors to fund the construction and the location was not decided upon yet though they weighed in to erect it higher on the outskirts of Bülbül Mountain to make it more visible to visitors. 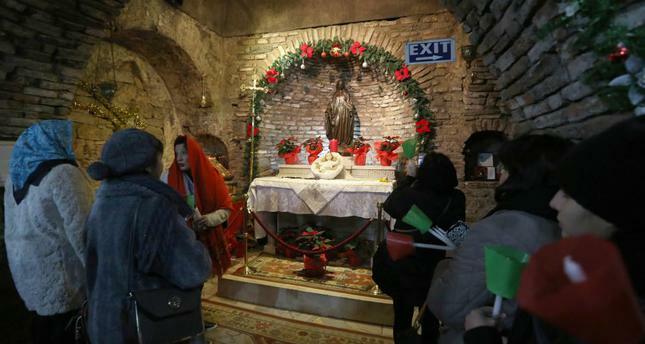 Virgin Mary House was discovered after a series of visions by 19th century nun Anne Catherine Emmerich led priests to Ephesus, an ancient settlement in Selçuk. The house was built by the apostle John for Mary, according to Emmerich who was later beatified by the Vatican. The Catholic faithful believes she underwent her Assumption -her death - in the house, which dates back to Apostolic Age. Though the Vatican never openly acknowledged the place as the dwelling of the Virgin Mary, it was visited by three pontiffs in the 20th century and recently by former Pope Benedict XVI in 2006.